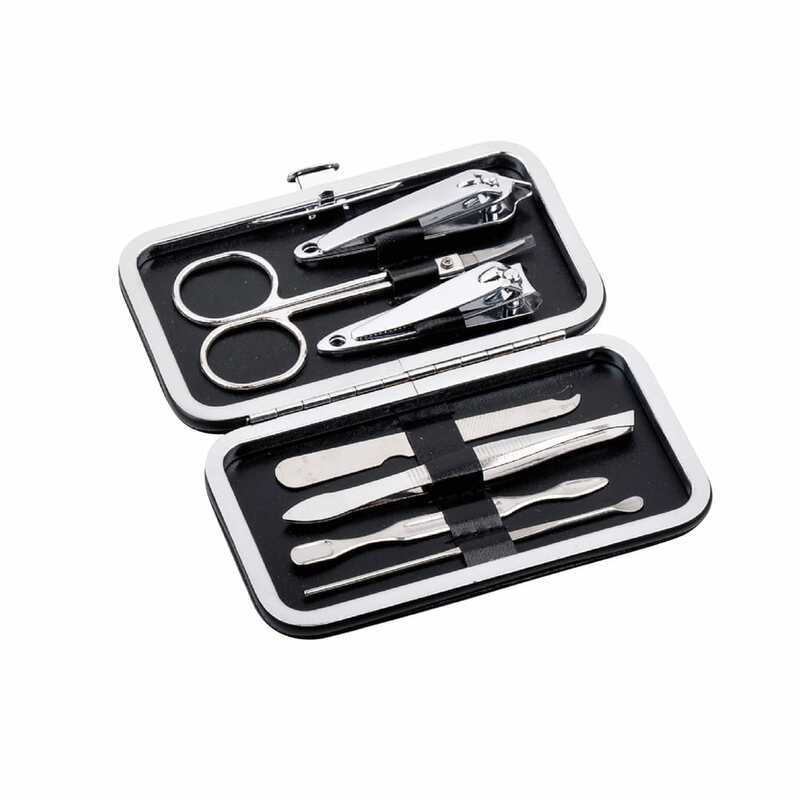 The PU Stylish Manicure Set is an elegant addition to your travel kit! 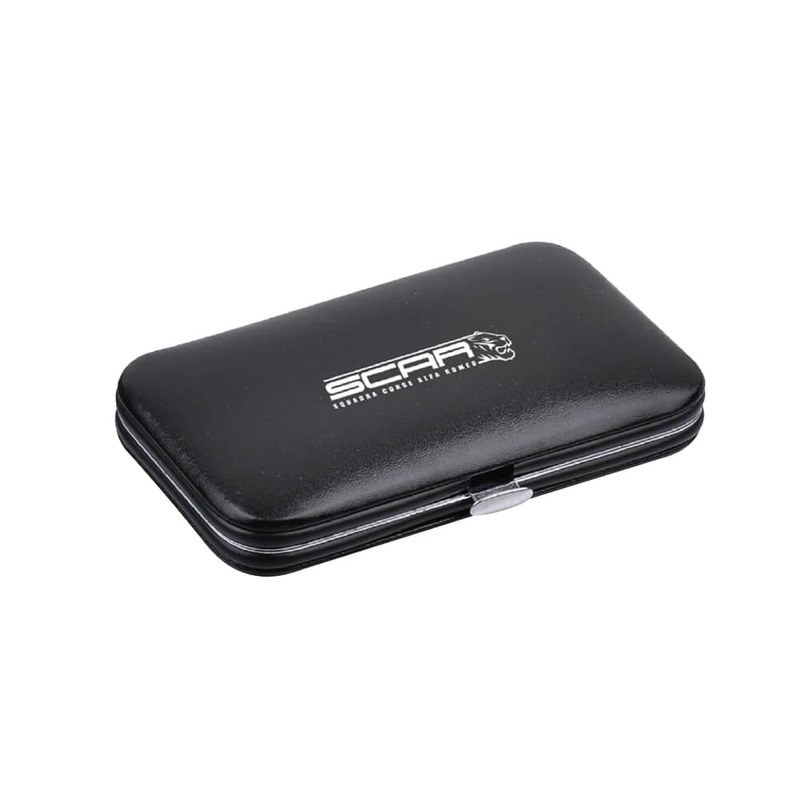 This 7-piece includes a pair of curved scissors, 2 nail clippers, a nail file, a pair of tweeers, a curette, and a nail cleaner, all enclosed in a sleek PU case with a chrome-plates frame and button. Available in black.